Putting the Beauty of Wood in the Hands of Kayakers ~ AND CANOEISTS, TOO! 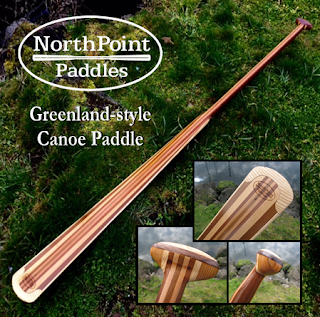 Congratulations, Carol K. from Wisconsin, on winning our first Greenland-style canoe paddle at Canoecopia this year! “It is absolutely beautiful and a work of art. If you have any questions or want to learn more about Greenland-style kayak or canoe paddles, feel free to contact us.